If you’re looking for a locksmith in Cheshunt, you have come to the right place. We understand that finding a new locksmith in Cheshunt can seem stressful, especially if you haven’t needed the help of one before. However, with Access Denied, this process is quick and easy. When you choose Access Denied, you are choosing a team of professionals. This means that whether you have locked yourself out or you need a replacement key made, you are guarantee a fantastic service every time. At Access Denied, we focus on offering high quality and professional locksmith in Cheshunt services throughout the area, as well as those surrounding. Wherever you are based and whatever the problem, our service is one of the best. We provide the full range of different services at Access Denied; rather than simply focusing on one small market, we work hard to make sure we’re able to solve every problem related to your locks. This includes replacing lost or damaged keys, gaining entry to vehicles, retrieving keys from inside of a vehicle, fitting new locks as part of a house move and even gaining entry to a property when you’re locked out. Simply, we do everything you need a locksmith in Cheshunt to do. As professional locksmiths in Cheshunt, we work hard to provide an unmatched service. We know that being locked out or having a lost key can be stressful, which is why we work quickly and efficiently. After all, there’s no need for you to wait longer than you have to. Whether it’s a lock for a vehicle or a lock for a property, you can relax knowing you’ll receive help quickly. In fact, we’re usually able to help within moments of you contacting us. All you need to do is get in touch and a member of the Access Denied team will be on their way. Though we are based in Cheshunt, we do also provide locksmith services in other areas. This allows us to offer help, wherever you are. Whether you’re stuck at home or somewhere a little further afield, we can be there in record time. Have you ever found yourself locked out in Cheshunt? It can be extremely stressful, especially if you have not been locked out before. Whether you’re locked out of your car or home, the chances are you’ll find yourself feeling worried and unsure. However, a locksmith in Cheshunt at Access Denied is on hand to help. A lot of people find themselves locked out in Cheshunt, a surprising amount. This is because it’s an extremely easy mistake to make. From leaving the keys inside when you shut the door behind you or having a child lock the car whilst the keys are still inside, there’s a number of ways you can find yourself locked out. Of course, if you have a spare key then this isn’t a major problem. However, most people don’t. If you ever find yourself locked out, contact Access Denied. At Access Denied, we understand that being locked out can cause big problems. Not only does it put a big delay on your plans for the day, but it can also prevent you from getting to work or being able to collect the kids from school. This is why we always act as quick as possible to fix the problem. The team at Access Denied are made up of skilled locksmiths, which means we’re able to provide a professional and expert service at all times. There’s no worry of corners being cut or not knowing what to do, as we’re able to use our expertise to fix the problem. Whatever the problem, we’re able to help. From helping you gain access to your car to organising for replacement locks to be fitted in your property, you can count on us. Everyone at Access Denied has the necessary skills and training to be able to provide a full service to any customer that finds themselves locked out in Cheshunt. We use state of the art equipment and modern techniques in order to provide an unmatched service. Not only does this ensure you receive a great locksmith service, but it helps us to go above and beyond your expectations. At one point or another, you will find yourself needing a lock replacement in Cheshunt. Thankfully, by choosing Access Denied, you have come to the right place. The team at Access Denied have a great deal of knowledge and experience surrounding replacement locks, meaning we’re able to do a great job each and every time. Regardless of the type of lock or location, we can replace it. So, if you run into some trouble and need your locks changed fast, we’re on hand to help you out. We’re even able to offer emergency callouts and quick responses to those in need. There are a lot of different reasons as to why you may need a lock replacement service in Cheshunt. For example, you may have lost a key and therefore you require new locks for security reasons. Also, you may want to replace your old locks in favour of something a little more secure and safe. Whatever the reason for needing a lock replacement, you can count on us. At Access Denied, we have a great deal of experience in replacing locks. This means we are able to offer a fantastic service, each and every time. Plus, thanks to our large team of trained locksmiths, we’re able to offer a full service. Rather than focusing solely on one specific type of lock replacement, we cover it all; this includes property lock replacement and auto lock replacement. If you find yourself needing lock replacement in Cheshunt, get in touch with the Access Denied team. Thanks to our broad range of services and professionalism, there’s never any need to go elsewhere. We’re able to combine professionalism and speed, which is what puts our service above the rest. Instead of working quickly and cutting corners or working professionally and taking our time, we’re able to work effectively and efficiently in equal parts. This is what makes our service one of the best. We know that having locks replaced can be a drag, which is why we aim to have everything completed in record time. If you need lock replacement in Cheshunt, choose Access Denied. Though you may have been lucky enough to get away without ever having a key snapped in Cheshunt, this might not always be the case. Snapping a key isn’t uncommon and it happens to the best of us, but knowing how to solve the problem is a different matter. Without a key and no way to access your vehicle or property, what are you to do? This is where we come in. With our wealth of experience at Access Denied, we can solve the problem of a snapped key in Cheshunt in no time. At Access Denied, we are able to provide a full range of locksmith services throughout Cheshunt and the rest of Hertfordshire. This includes lock replacements, helping you when you’re locked out of home and gaining access to a vehicle. However, it’s when a key has been snapped that we really step up and help. After all, without a team of experts, you’re left a little stuck. If you have a snapped key, you’re sure to run into a lot of problems. For example, if you’re car key is snapped you won’t be able to drive to work or to meet friends. If you’re house key is snapped, you won’t be able to get in. Simply, a snapped key can have become a huge hindrance to your day. If you’re lucky enough to have a spare key, this won’t be as much of a problem. However, most people don’t. When you find yourself with a snapped key, come to Access Denied. Our team are able to issue replacement keys in no time at all, which will allow you to get on with your day as soon as possible. We understand that a key snapping is a huge problem, which is why we are dedicated to fixing it as soon as we can. 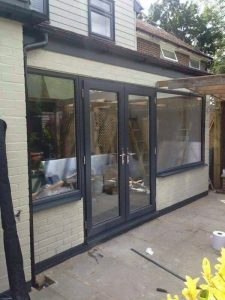 As a skilled expert locksmith in Cheshunt, Access Denied are able to offer a range of services to those in Hertfordshire. As we are completely mobile, there’s no need for you to worry about coming to us. Instead, we come to you. For more information on finding a locksmith in Cheshunt, get in touch. Call us today on 07534 277020 for a no obligation quote or for more information on any of our services. Alternatively, get in touch online. I’ve Locked My Keys in my car? This is not a problem and is the most common reason we get calls. Our non-destructive methods of entry mean we can open your car in no time at all. Call us now for a call out in as little as 30 minutes by one of our Cheshunt Locksmiths. I need Car Key Replacement? 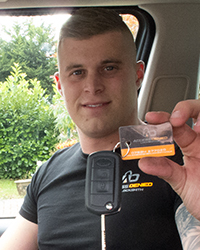 Access Denied Cheshunt Auto Locksmiths can provide new keys for your car created to the highest of standards again within as little as 30 minutes. Our fully trained team are 24 hour emergency auto locksmiths so you can get to us when you need to. Our Auto Locksmiths will always be prompt and professional regardless of the time of day that you call on them. Access Denied have trained staff working all over Cheshunt meaning a member of the team of Auto Locksmiths is always within 30 minutes of reaching someone when they call. We will never make you wait longer than necessary to help you out. At Access Denied Locksmiths Hertford our staff are fully trained by the UK Locksmiths Association to provide locksmith services to your car or commercial vehicle.